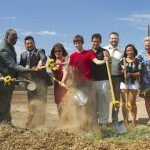 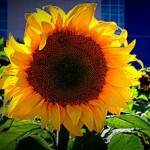 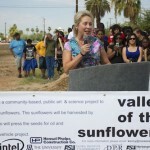 By all accounts, Roosevelt Row’s Valley of the Sunflowers infill project is hitting all the right notes. 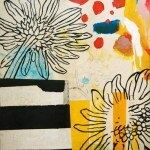 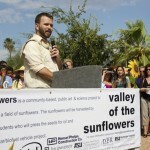 We talked with Kenny Barrett, artist and project manager for Roosevelt Row CDC. 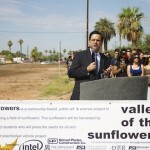 After years of failed attempts to initiate programming in empty lots, what was the moment that launched this flowery vision? 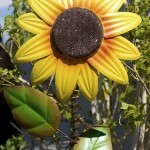 What does Kenny remember as one of the most depressing images? 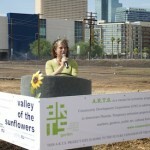 Cindy Dach, interim director of Roosevelt Row CDC explains the A.R.T.S Program. 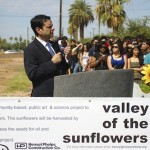 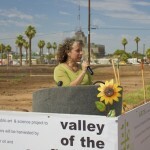 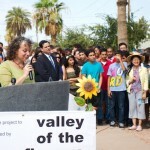 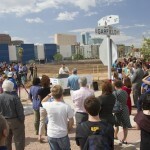 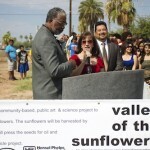 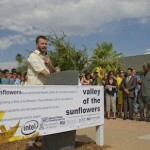 The Valley of the Sunflowers project was made possible through the support of Intel, City of Phoenix, BioScience High School, Sycamore Farms, Arizona State University’s Global Institute for Sustainability and the Herberger Institute for Design and the Arts through the ASU Art Museum and the Desert Initiative, University of Arizona, Hensel Phelps Construction, DPR Construction, APS, USDA Natural Resources Conservation Service and Blue Media.